Well, I have been at it again. Changing and moving things, redecorating and reorganizing. This time I have decided to attack the kids room, again. Hoping that the 3rd time will be a charm. However, having all the toys in the room meant that the room was always messy. Plus, when my son took his afternoon nap, my daughter would bring out all the toys she wanted to play with into my room or the guest room, there were toys everywhere. It also seems that the toys were taking over the closet and there was not much room for clothes and shoes. 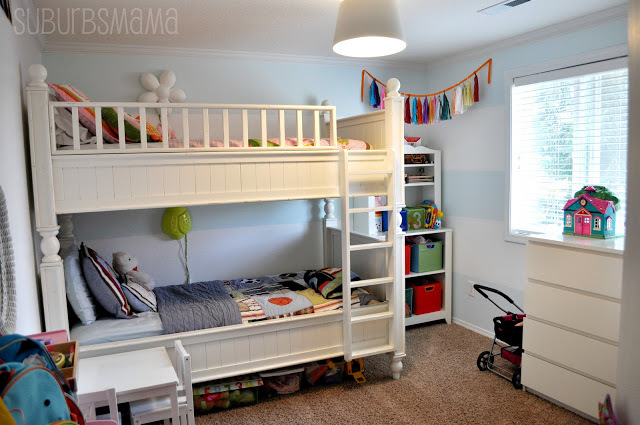 I really wished that I could have a play room and a separate bedroom. I moved all the toys out and had hubby take the bunk beds apart. Now I have a "sleeping" bedroom, as my kids call it. And a play room. It sure keeps the mess contained. The kids don't play in this room, Just read and sleep. Plus it is a relief not to have to climb a bunk bed to change sheets every week. 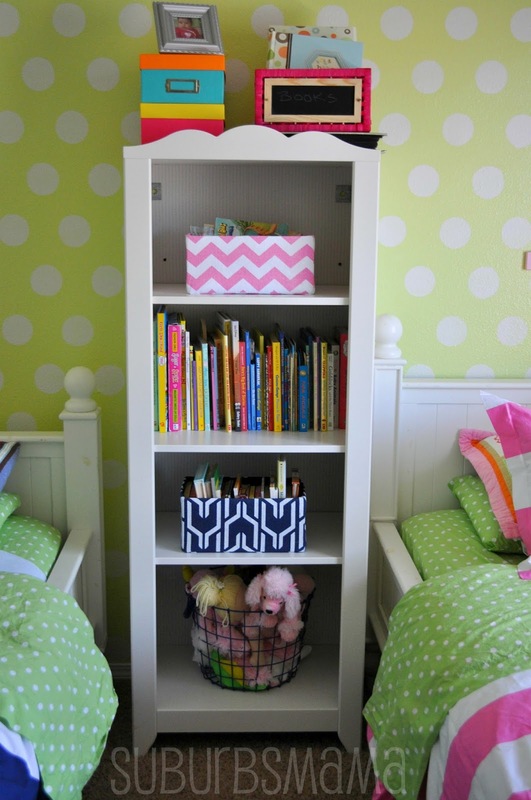 The best part, is that both of the kids have their own dresser, which means that the clothes are more organized. 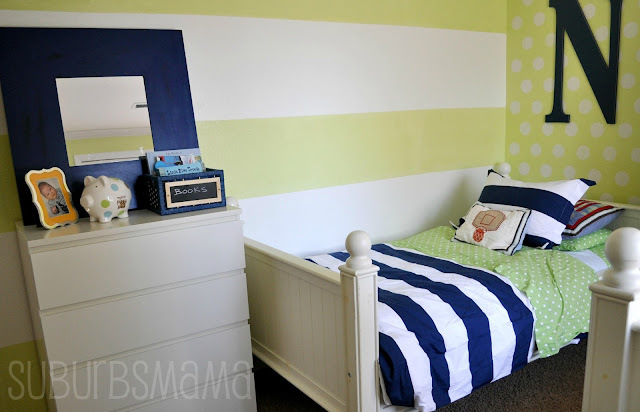 I am not sure how long this room is going to stay this way, we have another baby on the way, so things may change in a few months, but for now, I am happy with the results. Thanks for visiting, I hope you all have a great day. I love it!! You did such a great job rethinking the space! I can't wait to see how you set up your guest/play room!! Looks great! We don't keep many toys in our kids rooms either, sit makes it much easier for them to sleep & clean up is simple because its only ever what they bring in there from the playroom. 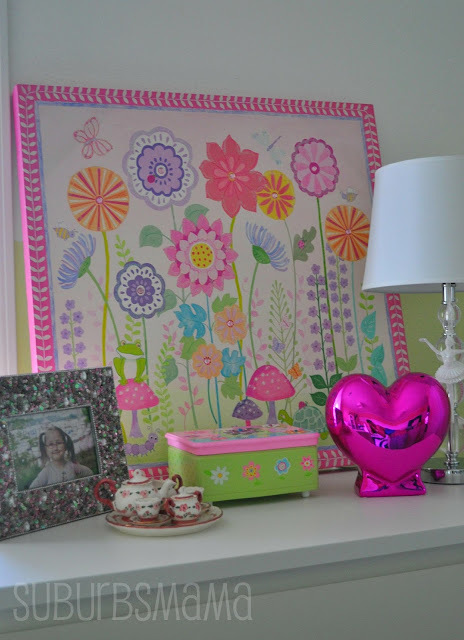 I'm itching to do a makeover in my girls room, I'm trying to hold off until next summer before they start kindergarten. Until then I just keep pinning away ideas! Do you have another room for the baby? I love the polka dot wall!! So cute, did you use a stencil? It looks great! I love the white furniture - it looks so crisp and clean. I love this! Thanks so much for sharing! I recently moved my 5 year old girl and 7 year old boy into the same room, and have been brainstorming how to decorate to make it work for both of them. I love the matching duvet covers! Looks great! We're expecting our second in March and we've been trying to decide if we should move or have the kiddos double up once the new baby is out of his or her bassinet. Nice to see a cute shared room! 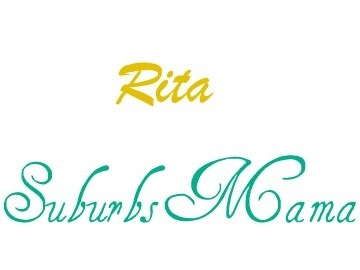 Rita it looks amazing!!! Such a great job! 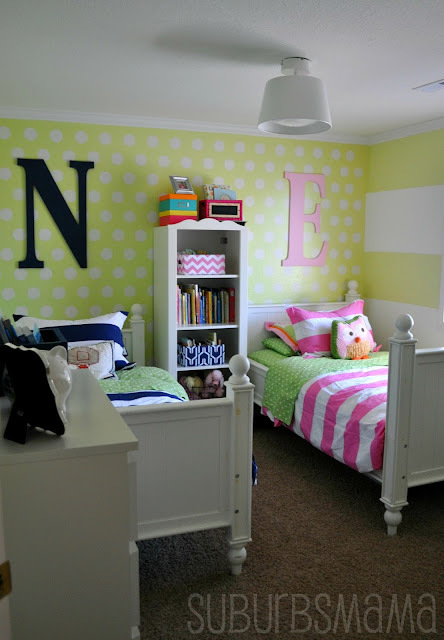 Such a sweet room. I seriously want to curl up with that owl pillow, he is adorable. Thanks for sharing at Bacon Time! 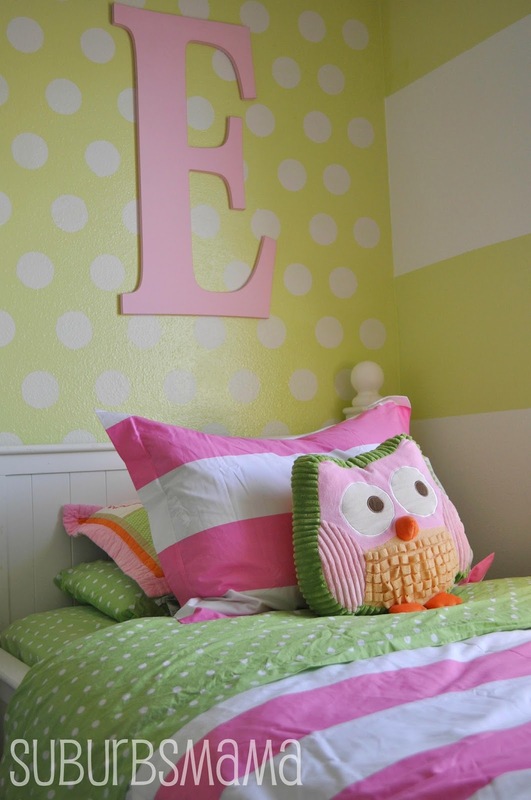 Such a cute room! 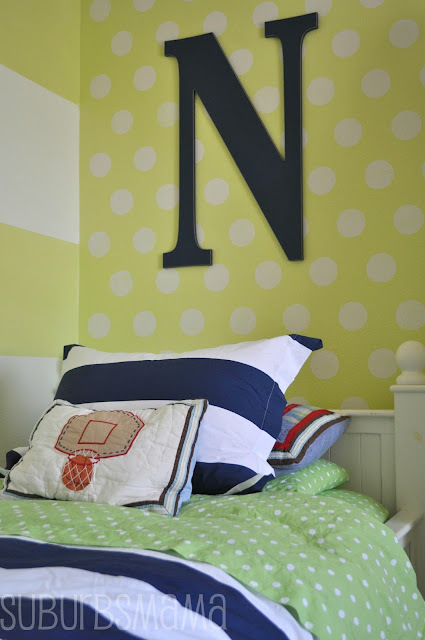 Love the dots and the stripes on the walls, and the color is gender neutral but totally cute. 3rd time's a charm, Rita! Nicely done! This is soooo cute! I love it! Thanks for sharing at Pinworthy Projects. How adorable! The room has definitely been through some evolution over their childhood and this is a great new phase! This is SO Awesome! 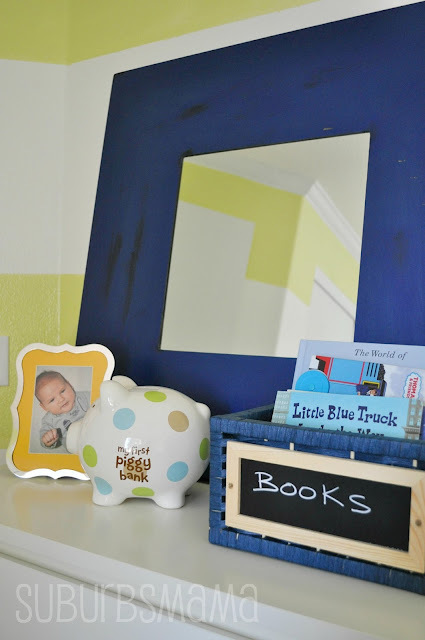 I featured it today from last week's Pinworthy Projects Party. Holy SO MUCH eye candy!! Love the new room! You did such a fantastic job on all three but it definitely takes the cake! Thanks for sharing and linking up to Sunday FUNday! I appreciate the inspiration! this looks so much more serene to me, yet also so much more colorful. how does that happen, lol? great job in here. I really like the content of this blog. i just simply love it. Keep the rest of the house “room share” as the kids are going to sleep. If the TV is blaring or older kids are talking loudly, it will be hard for the younger ones to want to go to sleep. Usually keeping the house quieter or even dim while the kids are falling asleep is sufficient. 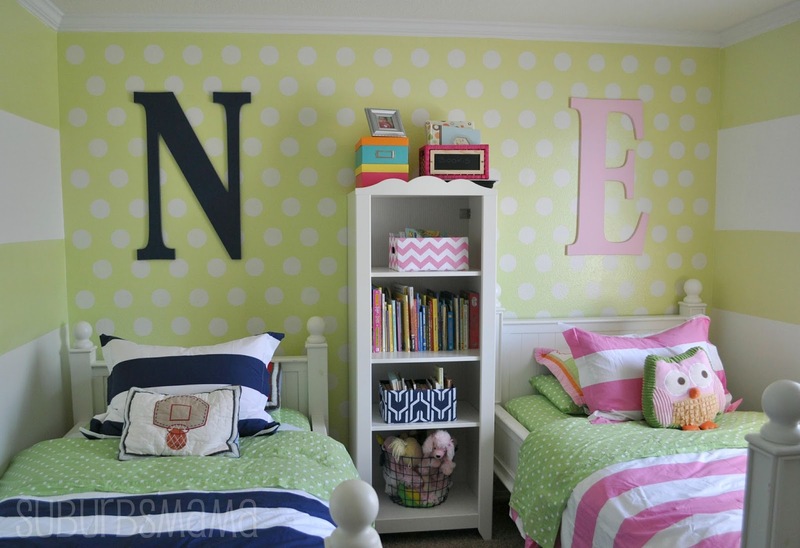 wow' I really like how you've made it perfect for your son and daughter at the same time! Where did you get the bank/beds. They are beautiful and they look exactly the same. Some of the banks have bottom larger head board than top bank. Please let me know!!! Room look awesome. From where you get that owl cushion.